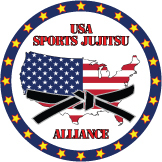 Welcome to the USA Sport™ Ju-jitsu Alliance. We are an organization for the purpose of promoting and developing the sport of jujitsu in the united states and the fielding of regional, national and international teams for competition in Sport Ju-jitsu. We support all forms and styles of Jujitsu, Judo and Grappling including Sambo and Pankration. Our ideal is to be inclusive of all organizations without politics and rankings and be a gathering point to educate and dessiminate information. Our Alliances are welcome to utilize our websites and mailing lists to help promote their events. It is our feeling that the broader our reach across the United States, the greater the pool of potential athletes to help field USA teams. Our intent is to be able to develop and support USA Athletes to compete at the highest levels in the world. Please come and join our efforts in accomplishing our dream of being the Premiere Country in the World for the Jujitsu Arts. The World Council of Ju-Jitsu Organisations is here to support the development, promotion, and teaching of Ju-Jitsu throughout the world without bias to race, creed, gender, or religion. The WCJJO provides a world forum for all member countries to meet and participate in Ju-Jitsu competition in a spirit of friendship. As an organization we promote the sharing of knowledge and skills between member countries. We also provide a grading authority and recognition for achievement in Ju-Jitsu. Ultimately we choose to represent Ju-Jitsu and in particular Sport Ju-Jitsu, as a World Body. The World Council is represented by a Board of Directors. The board is comprised of a President, Vice President, and Treasurer. These are elected or appointed positions. Each member country shall nominate one person who meets the criteria for nomination, to represent their country on the Board of Directors. The World Council is independently responsible for determining the host country for the annual World Convention Championships. The Council also defines the rules and regulations enforced during competition. For USA Sport® Ju-jitsu Grappling rules, see the United States Jujitsu Federation grappling rules. Outline of April 2012 Jujitsu Team Training and Coaching Course.